Address: 682880 Khabarovsky Kray, Sovietskaya Gavan, Sovietskaya st., 28"b". Zapovednik Botchinsky, in the southern part of Khrabarovskiy Krai, was founded in 1994. Its area is 267,4 thousand ha. 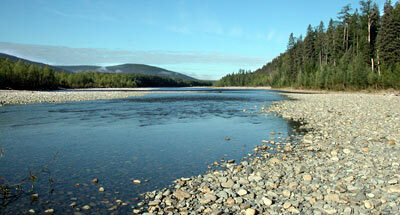 The Zapovednik is situated on the eastern spurs of northern Sikhote-Alin Mountains in the basin of the river Botcha. 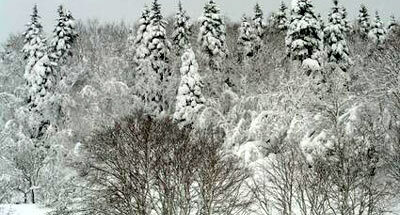 The most part of the territory is occupied by fir-spruce taiga and birch-larch forests, appeared on the places of fires. Cedar-broad-leaved forests of southern shape are found in the form of separate sites. Rare plants are noted, including endemic and relict species like Cypripedium macranthon, Cypripedium guttatum, Bergenia pacifica, Schisandra chinensis, Paeonia obovata, Japanese yew, etc. 109 bird species are registered, including 20 rare and disappearing species like black stork, hooded crane, mandarin duck, white-tailed eagle, Ketupa blakistoni, etc. Of mammal species most notable are the elk, roebuck, musk deer, brown bear, lynx, sable, and otter. More southern species like tiger and Asiatic black bear reach the borders of the Zapovednik. The most, northern group of Amur tigers exists here. In the rivers fish of valuable species spawn: humpback, chum and echo especially. The Zapovednik features a widely-known location of fossil Upper-Tertiary flora, represented by fossilised imprints of the leaves of arboreous plants.